Stars constitute a genus of organism. The stellar life cycle includes a larval phase. Biological life constitutes the larval phase of the stellar life cycle. Stellar nebulae manufacture bacteria and viruses in their interiors as they cool. Nature's metabolism encompasses the organic and the inorganic in a continuum of anabolic and catabolic processes. UPDATE: Reconceptualizing Evolution as an Instance of Development. Phylogeny is its own Ontogeny; Start with the Zygote. During the development of a complex organism, a fertilized ovum, or zygote, divides in two, then again into twice as many cells and eventually into all the cells that compose the organism's body. As the cells proliferate, they differentiate in form and function into the various cell types of that particular kind of body. This differentiation into skin, stomach, nerve, and other cell types occurs even though the cells of a developing body all share a common genotype, that of the original zygote (initially, notwithstanding genomic mosaicism, a recent discovery that makes evolution look even more like development). The paradox of one genotype yielding many cellular phenotypes has been resolved, in a general sense, through the mechanisms of epigenetics. A relatively new branch of molecular biology, epigenetics addresses issues related to gene regulation and gene regulatory networks. The new discipline aims to explain how, during development, genes get turned on and off and when (as in larval or adult forms of organisms) and where (as in spleen or kidney) they do. The new discipline is an upstart. Epigenetics would seem to demote DNA from being the cell's chief executive to its merely utilitarian, dumb server. DNA includes an archive of messenger-RNA templates (and the messenger RNA molecules transcribed from the templates still pass through an editing suite before being escorted to the ribosome, where they get translated into proteins). The molecular machinery of epigenetics, through normal chemical bonding, excites or inhibits DNA "expression" or "action." The countless combinations of sections of DNA that can be expressed and repressed here and there in sequence or in tandem produce multiform cellular phenotypes from the highly conserved DNA of the original zygote. From a complex database a skilled operator can extract many kinds of reports, by slicing the data this way then that. DNA is such a complex database, responding to many and diverse calls for data. The creatures of the Earth are reports summoned from DNA, not expressions of any executive talent that resides in the DNA. This is the new view of things from the world of epigenetics. But epigenetic mechanisms do more than regulate cellular differentiation during development. What is particularly significant, from the perspective of the star larvae hypothesis, is that epigenetic mechanisms are implicated, increasingly, also in the diversification of species from a conserved genome during evolution. "Conserved genome" is taking a liberty, admittedly, but how much of one? As statistical genomics continues to reveal, the conservation of DNA across species is more extensive than anyone had expected. Because genomes differ among species less than had been anticipated, some commenters have coined the phrase, "universal genome" to underscore the striking commonalities among genomes of diverse species. Evolution increasingly seems to be an instance of development, the two processes of development and evolution sharing a reliance on epigenetic mechanisms to pull forth diverse forms from a shared database. Even though development and evolution differ markedly in scale, they grow increasingly mechanically similar as research proceeds. The star larvae hypothesis suggests the term ontophylogeny to designate biology's generic process of differentiation/diversification (an appropriation from J-J. Kupiec). Let the chips fall, but the star larvae hypothesis continues to find encouragement in new discoveries in molecular biology that pertain to "descent with modification," whether the descent is of tissues during development or of species during evolution. The hypothesis watches for new breakthroughs in this area, because the trend line continues to dovetail with its prediction that evolution will come to be recognized as an instance of development. One: Development proceeds in a preferred direction. Given an accommodating environment, an adult chicken, and not an adult penguin, will be called forth from a chick embryo. Development has a teleological character. 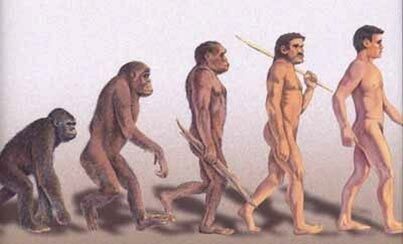 If evolution is an instance of development, then it, too, must have a teleological character, a preferred direction. This will be a tough pill for science to swallow. Evolution coming to be seen as a process that depends on endogenous factors as much as does development raises the challenge of applying the new understanding. What might it say about evolution on exoplanets? Theorists of evolution should have something predictive to say about questions such as these: Given an Earth-size planet in some solar system's "habitable zone," i.e., at the requisite distance from the system's central star, or sun, and which planet finds itself steward of viruses and bacteria, what exogenous contingencies will influence the descent of phenotypes and to what extent and in which directions? And to what extent will endogenous physiology influence the descent of phenotypes and to what extent and in which directions? Although, such predictions might soon be forthcoming. For its part, the star larvae hypothesis predicts that on exoplanets endogenous gene regulatory networks will generate phenotypes along the lines of the types of body plans that have developed on Earth. The "tree of life" on exoplanets that bear complex life will include essentially the same major divisions, classes, orders, and phyla as those of Earth and probably a few platypus-like oddball assemblies as well. Incorporating the assertions of panspermia, the star larvae hypothesis assumes that diverse planets will share in the "universal genome." Two: Development, or ontogeny, typically is characterized as advancing through the stages of a life cycle, with the post-reproductive adult occupying the terminal stage. If evolution is an instance of development, then what is the adult form of the organism that's developing? And what events constitute a complete reproductive life-cycle of that organism? Conceiving of life on Earth as being engaged in a process of development, a planetary ontogeny, might seem less crazy if the sceptic appreciates that the bodies of complex organisms are themselves ecologies. Most cells in a human body, for example, are bacterial cells. Each human body is a constantly evolving ecosystem of microbial symbionts, parasites and stowaways. The fellow travelers constitute the "microbiomes" that compose human bodies. Development is ecological and evolution is developmental. The same relationships seem to pertain at all scales. The strain that humankind is putting on the Earth—particularly in light of nuclear mishaps, geoengineering, weaponized microbes, and the seemingly suicidal sociopathy of the various factions of would-be global oligarchs—might tempt observers to render a harsh verdict against humankind, to liken humans to a deadly, havoc-wreaking, ecosystem-wrecking, cancer. But such a condemnation would be misguided. Humankind doesn't represent a global cancer that needs to be treated, but a burgeoning new life, one, however, that can distinguish itself from a cancer only by engineering its own delivery into the weightless environment of outer space. The two-party system (evolution vs. intelligent design) is an obsolete paradigm. 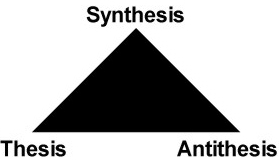 Our hypothesis synthesizes the thesis-antithesis of evolution and intelligent design into an expanded model of biology's natural history. "There is grandeur in this view of life, with its several powers, having been originally breathed by the Creator into a few forms or into one, and that . . . from so simple a beginning endless forms most beautiful and most wonderful have been and are being evolved." If nature is divine artifice, as religious faith supposes, then nature is of a kind with technology. Nature is somebody's science project . . . or? "As cosmological theories advance, they will draw more concepts from biology." — Sir Martin Rees, "Rees's Law"
The science of complexity, or complex systems theory, repackages the discarded doctrine of vitalism. Complexity theory assigns to nature a capacity to self organize—to construct complex structures and processes spontaneously. The old science of thermodynamics assigns to nature a capacity to disorganize—to deconstruct complex structures and processes spontaneously. Sub-processes within nature's metabolism can seem themselves to be discrete. But these sub-processes, organisms, cannot operate autonomously, separately from an environment. Organisms become harder to define when they extend their metabolisms through, and become dependent upon, one another. Organisms become even harder to define when they extend their metabolisms through, and become dependent on, their own artifacts. Natural selection and genetic drift do not shape organisms to fit ecological niches. Organisms construct the niches that they want. From top to bottom. fashioning them with insight and wisdom." Science and religion are at odds as to whether nature and history participate in a program—whether any particular direction inheres in them. Evolution’s Extended Synthesis dethrones natural selection as the primary shaper of phenotypes. That role belongs to the endogenous mechanisms of development. The laws of nature in this universe are attuned precisely to the needs of biological organisms. The laws of nature appear to be tuned to provide the universe with reproductive organs—black holes. Their stable disequilibria, catalytic metabolisms, periodic physiological cycles, and homeostatic feedback controls qualify stars as living organisms. The universality and persistence of astral themes in religious art and lore testify to humankind’s stellar calling. Biological life is cosmic, not terrestrial, in origin and scope. Biology impregnates planets, where it gestates until it graduates symbiotic with its technologies. Biology extends the life of the universe by recycling black holes into new protons (through a technology sufficiently advanced as to be indistinguishable from magic). Researchers continue to map correlations between neurological and mental events. But subjectivity per se seems to originate at another interface—that between quantum and gravitational events. "Zero-G, and I feel fine." Mother Earth has come to term. It's time to leave home. Bones and muscles—adaptations to gravity—atrophy in space, but brains are poised to bulk up. Neurological enrichment in weightlessness juvenilizes brains, continuing into outer space the neotenous trend established already in human evolution. Juvenile brains exuberate and snooze, though snoozing threatens the enrichments that exuberance produces. Dreaming compensates for sleep's brain-impoverishing paralysis. Dreaming with intent extends conscious will into the unconscious. Virtual reality releases solitary dreamers into the collective dream. Technology decommissions the specialized adaptations of the adult body. The neoteny that results illustrates gene-culture coevolution. 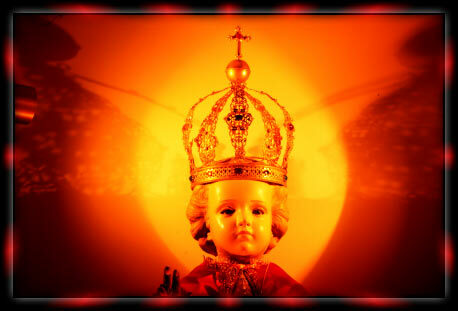 In outer space the process will deliver a posthuman form that the religious figure of the cherubic angel, or putto, the celestial infant, anticipates. "I do not like broccoli. And I haven't liked it since I was a little kid and my mother made me eat it. And I'm president of the United States, and I'm not going to eat any more broccoli." Brain circuits juvenilized by weightlessness will mediate a concomitantly juvenilized subjectivity. 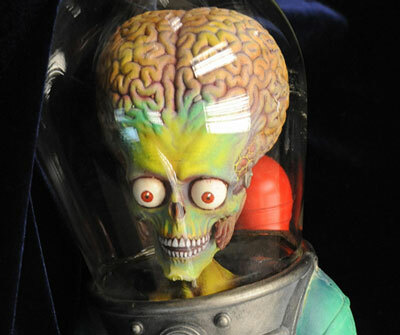 The psychedelic, or entheogenic, experience provides a preview of the de-differentiated consciousness likely to characterize the juvenilized minds of extraterrestrials. "If the doors of perception were cleansed, everything would appear to man as it is: Infinite." Sociobiology explains social organization in the animal world in naturalistic, genetic, terms. But applying sociobiological principles to human societies remains taboo, because aspects of sociobiology might suggest that the human population is genetically stratified. Conspiracy theories challenge the taboo when they assert that the ruling class is indeed an inbreeding elite. Anyone uncomfortable with that notion remains free glibly to dismiss it as, "conspiracy theory." Nonetheless, genetic stratification sets the stage for speciation. Thoughtful observers ought to watch for signs of it in the human population. "I shall attempt to show that what observers in the Progressive Era called 'the Invisible Government' has now become quite visible; and that what is usually taken to be the central content of politics, the pressure, and the campaigns, and the congressional maneuvering, has, in considerable part, now been relegated to the middle levels of power." The philosophical doctrine of organicism synthesizes the religious doctrine of Intelligent Design and the scientific doctrine of Darwinian Evolution into a philosophical home for the star larvae hypothesis. "An organism can respond to its parts, if it has them, or its neighbors, if it has them, or to both, if it has both. An electron has only neighbors, the universe, only parts, to respond to; but both may be responsive, and in so far, organic, entities." To spare humankind the hell of a technocratic,fundamentalist hive, humanism needs to mount a postmodern revolution—a revolution that rejects the alienation of plotless history. 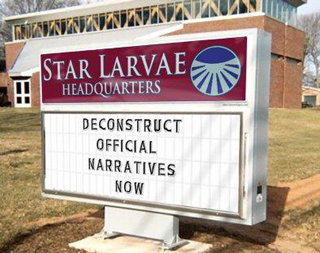 The star larvae hypothesis lays the foundation for such an essential revolution. "Thus he spake, and once more into the cup in which he had previously mingled the soul of the universe he poured the remains of the elements, and mingled them in much the same manner [. . . .] And having made it he divided the whole mixture into souls equal in number to the stars, and assigned each soul to a star; and having there placed them as in a chariot, he showed them the nature of the universe, and declared to them the laws of destiny, according to which their first birth would be one and the same for all,-no one should suffer a disadvantage at his hands; they were to be sown in the instruments of time severally adapted to them, and to come forth the most religious of animals [. . . .] He who lived well during his appointed time was to return and dwell in his native star, and there he would have a blessed and congenial existence."